This ring is a great way to show you mom you love her! 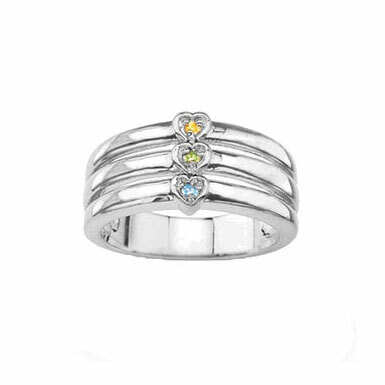 Made from .925 sterling silver this ring can be personalized with three 2mm round simulated birthstones. Rings measure approximately 0.14" x 0.40" x 0.72". We guarantee our Personalized Mother's Heart Ring with CZ Stones to be high quality, authentic jewelry, as described above.